Hear music from some of the top local artists, and check-out the pop-up arts market and fun activities for families, with new things to do at each event. 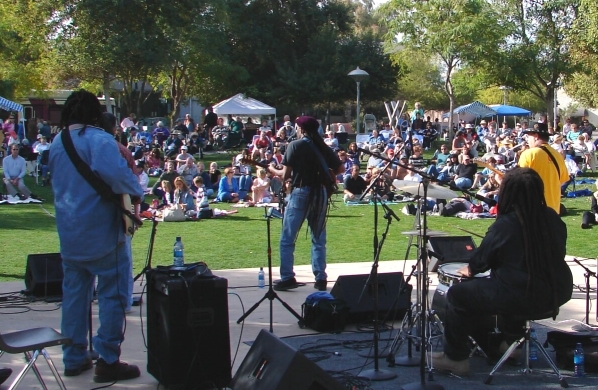 Bring a blanket, the Sunday paper, family, and friends, and sit on the lawn to enjoy these free live performances. Check out the delicious food from the grill, gourmet desserts, beer and wine, and non-alcoholic offerings for purchase, or bring your own picnic to the park. Sunday A’Fair runs from January through April on select Sundays from noon to 4 p.m.